Whether you need help with termites, rodents, bed bugs, or other creepy crawlies, we’ve got you covered. Reach out for a free quote on pest control! No one wants to spend money on a pest control service only to have the problem return again and again. At Earthwise Pest Management, our goal is to get rid of the existing infestation and prevent new pests from entering your property, all while limiting our use of pesticides. Regardless of what type of pest you are dealing with, we have the knowledge and experience to get rid of them in your residential or commercial space in Folsom, CA. At Earthwise Pest Management, we’ve been serving Folsom and the Greater Sacramento area with effective pest control for long enough to know what works and what doesn’t. With our unique method of pest control, we have found effective ways to get rid of existing pest infestations while also making sure that the problem doesn’t continue happening. We can do this a number of ways including regular pest maintenance (annual, biannual, or quarterly depending on your needs) as well as using a method of pest control called Integrated Pest Management (IPM). 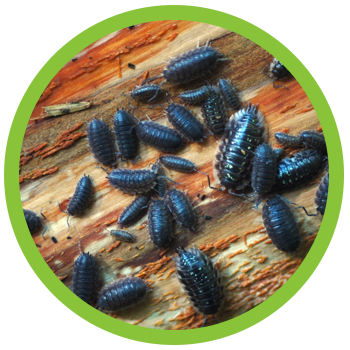 IPM is a means of controlling current and future pest problems by eliminating vulnerable areas on the property, reducing a pests access to and desire for your property. This can be done in a number of ways but boils down to controlling factors in and around your property. Our highly trained pest management technicians can identify what type of pest infestation you have and use their knowledge of the natural world to understand how your property is sustaining the needs of each pest, whether it’s breeding habits, habitat, food sources, or the like. Then, they will devise a plan to eliminate anything that might be making your property attractive to the pests, such as entry points (cracks in the foundation, torn flashing on the roof, etc. ), improperly stored food, or leaking faucets. By fixing these elements, we can reduce our use of pesticides while still offering an effective, long-term solution to your pest problems. As a commercial property owner or operator, you need to ensure that your premises remain pest-free. Pests can easily destroy inventory in a warehouse, cause your employees to become distracted at work, and even cause your establishment to fail a health inspection. Whether you are dealing with rodents, termites, bed bugs, moths, ants, or some other pest, make sure to call Earthwise for commercial pest control services in Folsom. No home is immune to pest problems. Pests in your home can be a nuisance at best and a health hazard at worst. Whether there is a specific pest that you can’t seem to get rid of or you are finding too many bugs and insects in your home for your comfort level, our team can help. As your Folsom pest control team, we understand how important it is to ensure that yourself, your family, and your pets are safe during a pest control treatment. As we mentioned before, we try to limit our use of pesticides and will ensure we aren’t using any treatments that can cause harm. Termites are notorious for destroying homes and commercial buildings right under your nose. Often, termite infestations are not noticed until there is already thousands of dollars worth of damage done. We recommend scheduling a termite inspection if you haven’t had one recently. Based on the condition and age of your home, as well as the landscape surrounding your home, your Folsom termite inspector can determine if annual inspections will be beneficial. If there is evidence of termite damage, they can help you decide the best course of action to get the situation under control. Bed bugs are the last pest you want to find in your home. Bed bugs can happen to anyone, and it is important to mediate the situation before it gets out of hand. Bed bugs are known for their hitchhiking abilities and often find their way to your home via your luggage or clothing after a hotel stay or airplane ride. If you notice any signs of a bed bug infestation, give us a call and we’ll get out there as soon as possible. We offer heat treatments for bed bugs because it is the most effective way of exterminating bed bugs and their eggs and it is also a safe, non-chemical option. Mice and rats thrive in our mild climate, but sometimes they like to come inside of our homes and commercial properties. This is because the average building offers food, water, shelter, and warmth. It’s a rodent’s paradise! Rodents not only cause property damage, but they can also spread disease to humans and pets. If you find any rodent droppings, discover chewed wires, or hear scurrying in your attic at night, call Earthwise for rodent removal right away. We’ll identify how and why the rodents are getting into your building so we can ensure they won’t be back. Our pest control company is extremely thoughtful when it comes to making sure your home is safe for your family and your pets to reside in. The same goes for your company if you are a business owner. Using safe pest control treatments, we are able to help you and provide you with the type of pest management services you need in order to get rid of the bugs or rodents that are plaguing your space without having to worry about how it is personally affecting those who spend their time in the space. When you hire a pest control company that has been working in the industry as long as Earthwise Pest Management, you can have peace of mind knowing that we are completely capable of taking care of your issue. When you call us or hire us to come take care of your home or business, we can answer any and all questions you have about your pest problem and more. Believe us, there isn’t a bug or rodent problem we cannot handle. When you discover that you are dealing with pests in your space, you certainly don’t want to have to wait for an extended amount of time for the issue to be resolved. When you call into our office, you will talk with a friendly and experienced pest specialist who can help you to identify which pests are plaguing you and then come up with a plan of action. Our team will then come to your home or place of business quickly in order to remedy your problem. We never want our customers to have to live or work in an uncomfortable environment and therefore, we will arrive and work quickly. Ready To Get Rid Of Pests For Good? If you’re experiencing unwanted pests in your home or commercial building, do not hesitate to reach out to Earthwise. We are your Top Rated Local® pest control company serving Folsom and the Greater Sacramento area. Fill out our contact form or give us a call and let us know about your pest control needs.